DECISION MAKING :Intraday trading or long term in Forex ,commodity,futures or stock market trading is all about right decision. It’s all about decision making want to place a trade or not. simple rule is that assuming trade setups are good then enter a trade with small stop loss if you hesitate to place a trade market won’t wait for you either uptrend or downtrend it will move on those who got on that trading train will earn and you will be watching staying in same station so plan your trade and execute so it’s all about right strategies you apply while trading in mcx commodity,Nifty and forex. Never try to get on running train this kind of trade will lead to huge loss and also psychologically it will hurt you badly to get on another trade. 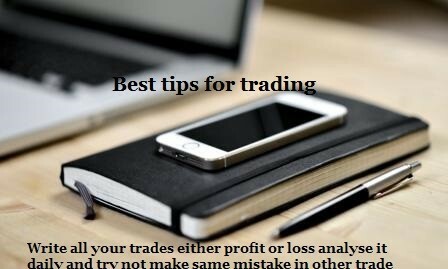 LOWER YOUR TRADE SIZE IN INTRADAY TRADING: Even regular traders while they have consecutive losing trades they will lowers there lots to small often if they trade 10 or 20 lots while continuous losing trade they will lower there trading size to 20 to 2 or 5 lots after winning 2 or more trades increase your trade lots following above strategies will help you in increase of profit. WINNER INTO A LOSER IN DAY TRADING: Beginner traders make these mistakes often when market moves towards their winning side either up or down they will still wait and forget to book profits they will do guess work maybe market will still continue and the market reverses they end in losing trade which has to be in profit will end at losing trade. Write down strategies and execute those techniques all the times when you are placing trade never change your strategies unless you have not applied. Change only when you have continuous losing trade try new method to place trade. LEARN TO ACCEPT LOSSES: When market is not in favor of you get out of the trade taking small loss (Always trade with small stop loss) regular traders those who make money in trading will have many losses then winning but it will be very small loss acceptin loss is also one of the strategies to earn while trading. 4 loss and 2 profits trade 4 losses will be 700 per trade so 4*700=2800 rupees loss and 2 winning trades will be 2600 or more as per target let’s take it as 2600*2=5200, so loss 2800- profit 5200 = 2400 total profit in 6 trades. STOP PRAYING TO GOD: While trading after placing trade none of the god is going to appear before you to help because he/she didn’t invent trading though he gave us brain we humans made this money making game so stop praying after placing trade because he is not going to move market in favor of you. Stop worrying about news its history trade with trend whatever you are watching in news channel it’s already done so stick with your charts see what it’s telling you long or short go for it for intraday trading in Forex or commodity. TV channels they are just telling you things which are already over rather than watching news concentrate on your charts will show you clear picture. After placing trade if market is not moving as expected within certain time frame get out quickly and wait for another trade if you are losing continuous 2 or 3 trades shut down your pc and come back tomorrow market will not go anywhere. ​traders are also equal in the eyes of market. Plan which one helps you to earn profit intraday trading, swing trading or long term trading try each types of trade whichever make you good income stick to it. Intraday is not good for many traders because you need an exact plan for day trading but still many trade in intraday try swing trading or long term also it may work for you.